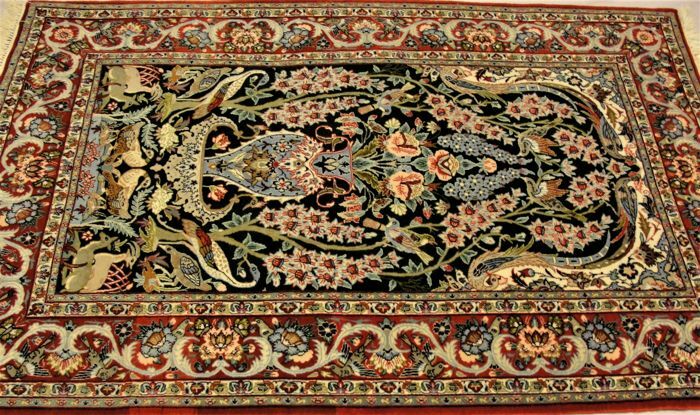 A very beautiful Pictorial isfehan with very attractive pattern and rare dark green background color, in excellent condition like new, no need to clean It is very clean ready to use. 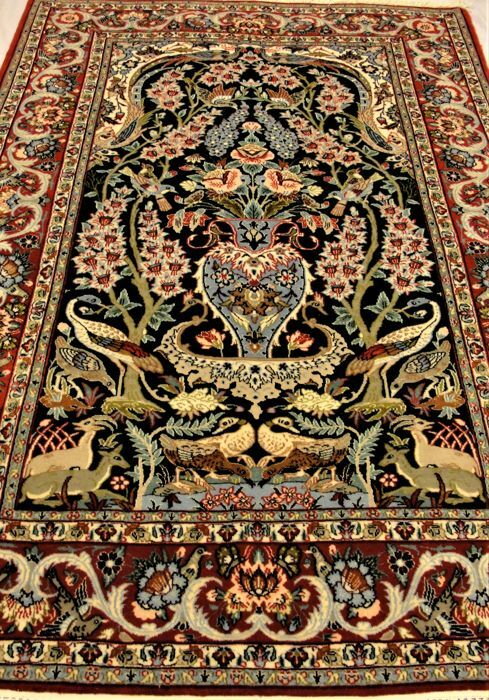 • Knot density is 650,000 - 700,000 knots/m². 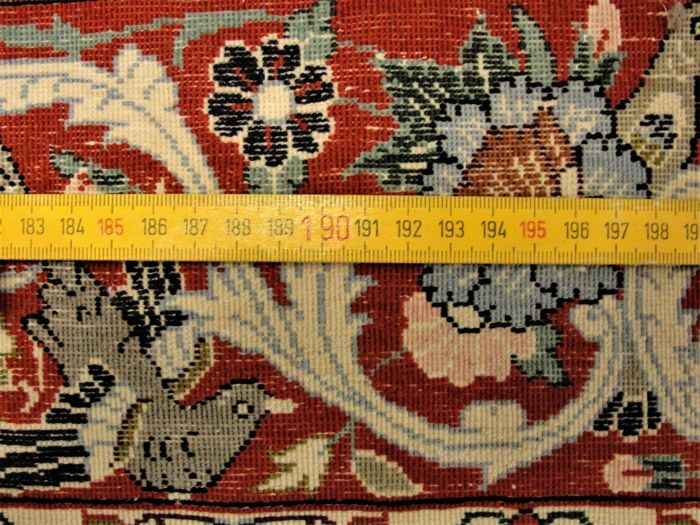 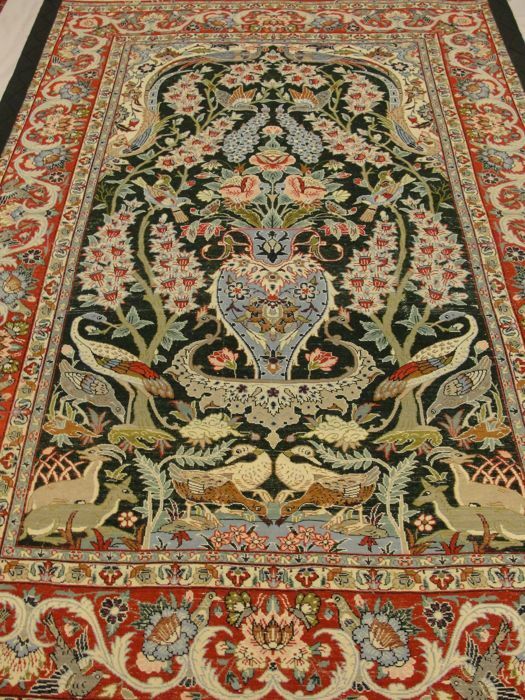 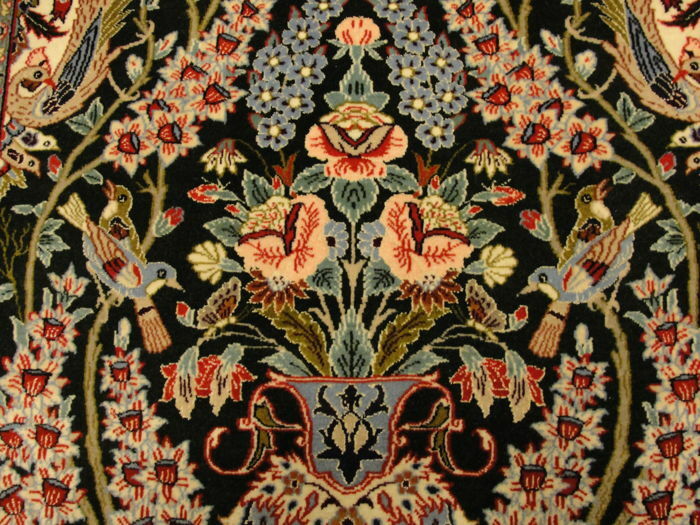 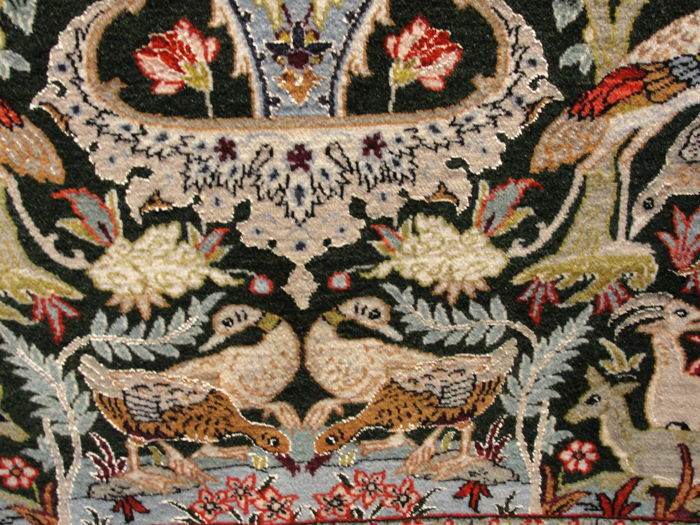 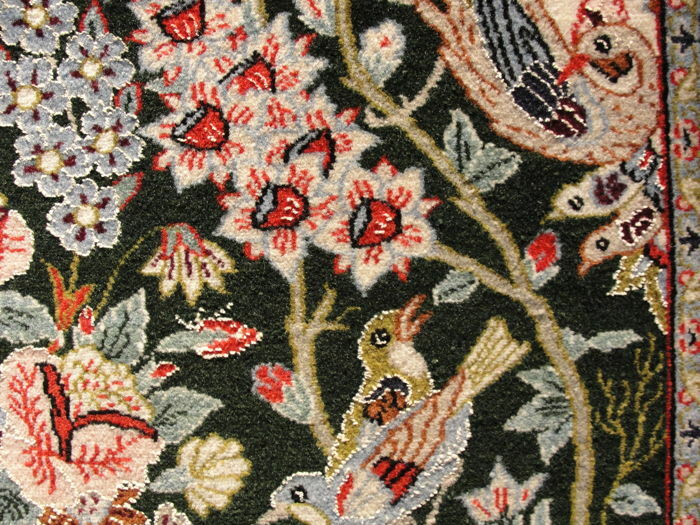 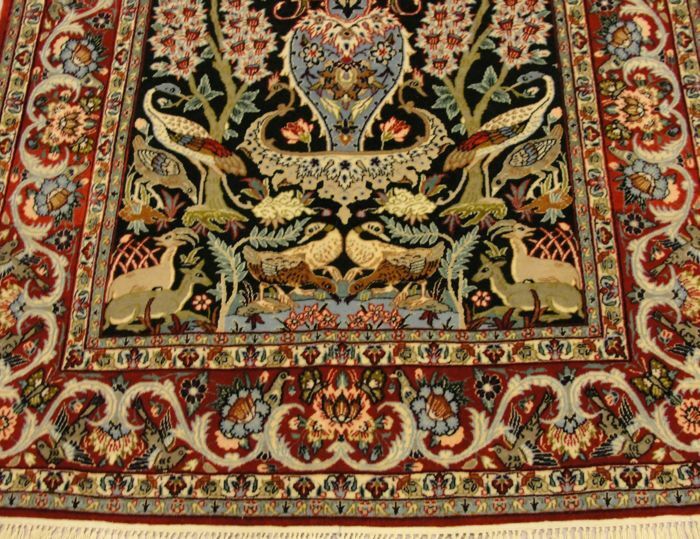 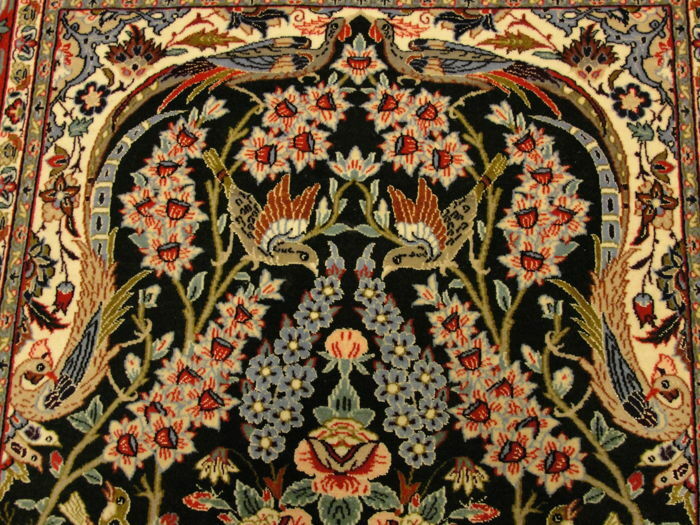 The carpets of the city of Isfahan (Iran) are the best carpets considering design, raw materials and production. 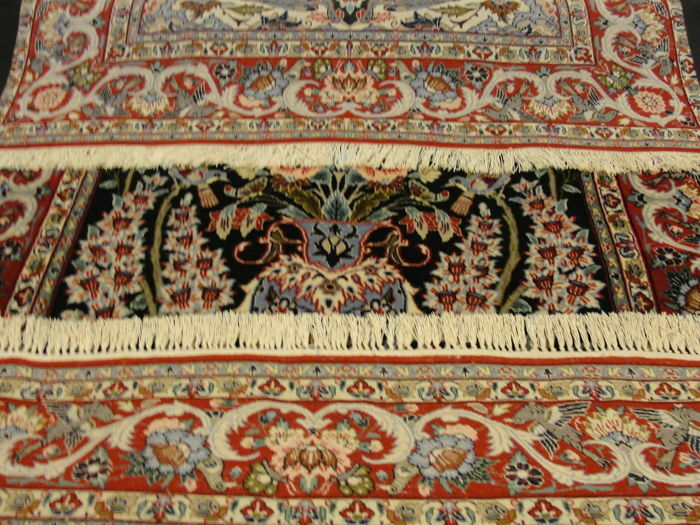 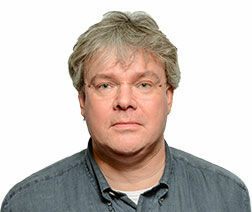 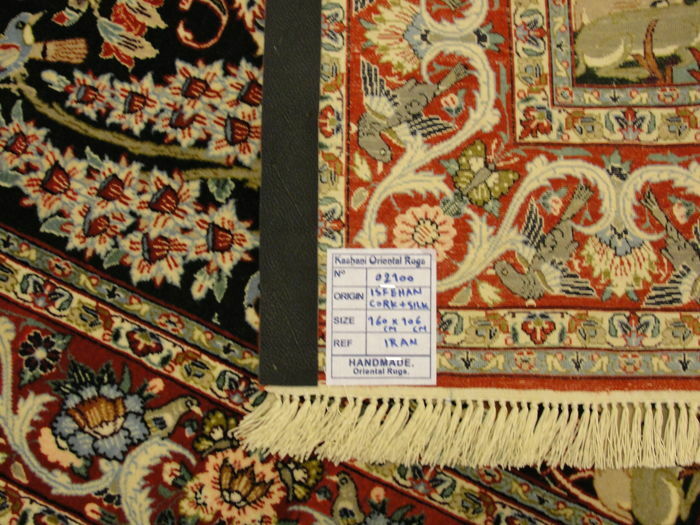 They are fine rugs, often characterized by a high density of knots that are sometimes created on a silk warp. 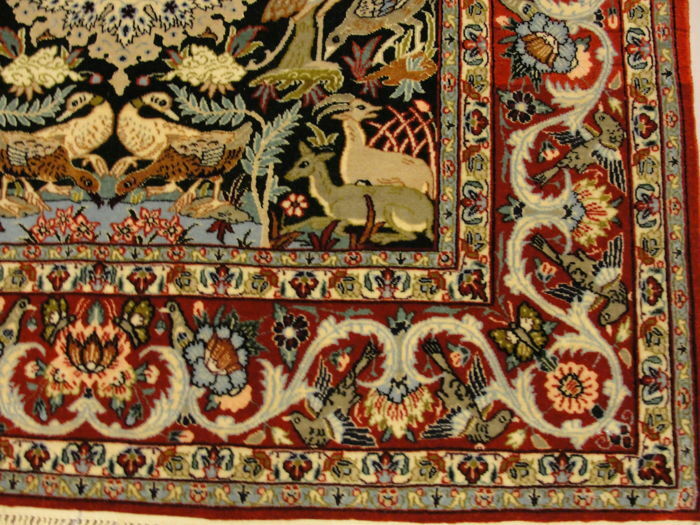 The raw materials (mainly wool) and the colors are of the highest quality. 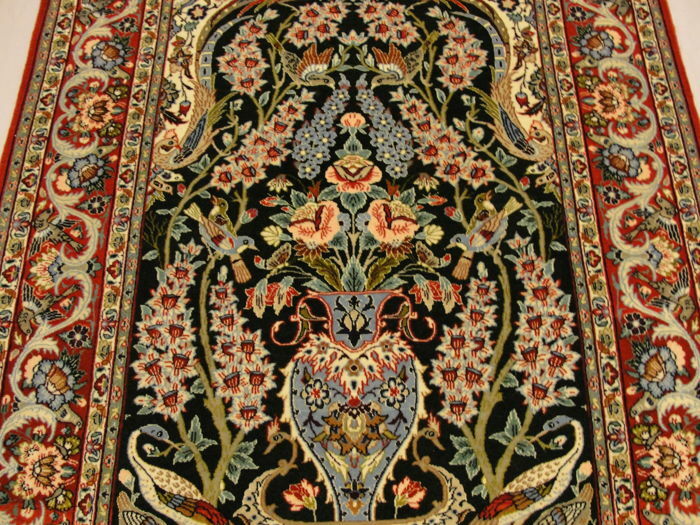 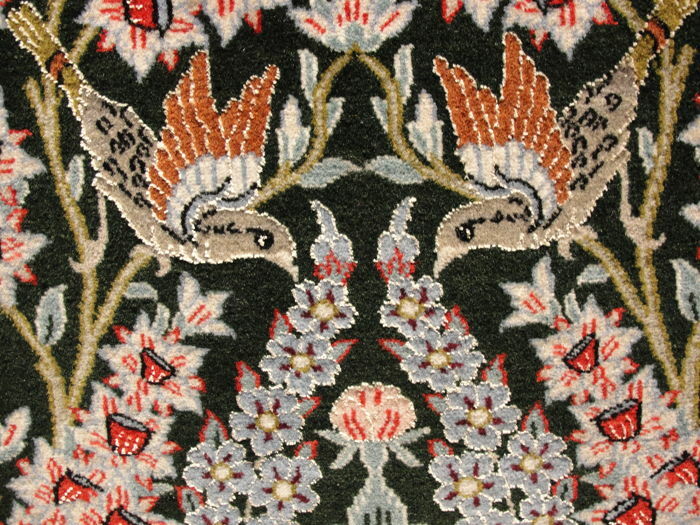 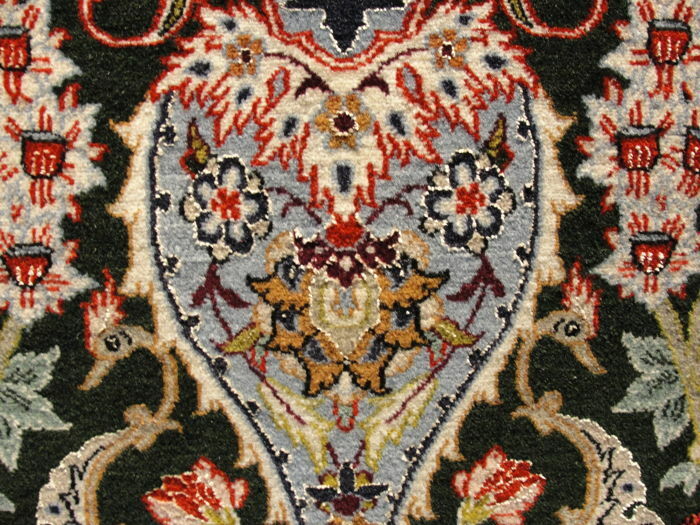 Design usually consists of medallions with palmetes and arabesques, but there are also figurative motifs.The Isfahan rug inherits its namesake from the royal city of Isfahan. 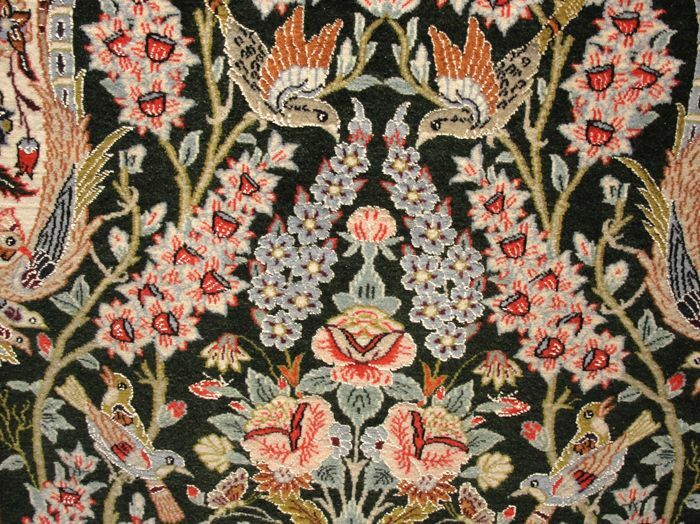 Isfahan itself was home to the patron arts—a locale that has possessed a long, deep seeded history in artistry since the 16th century. 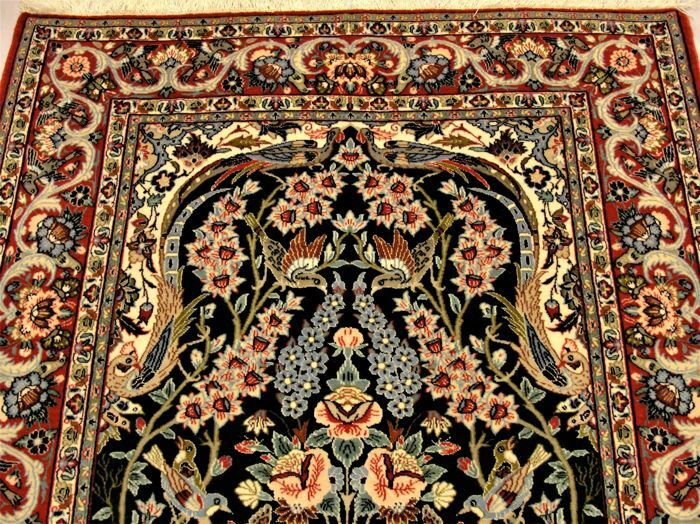 The artists of Isfahan were incredibly talented in weaving and considered to be some of the best in the world. 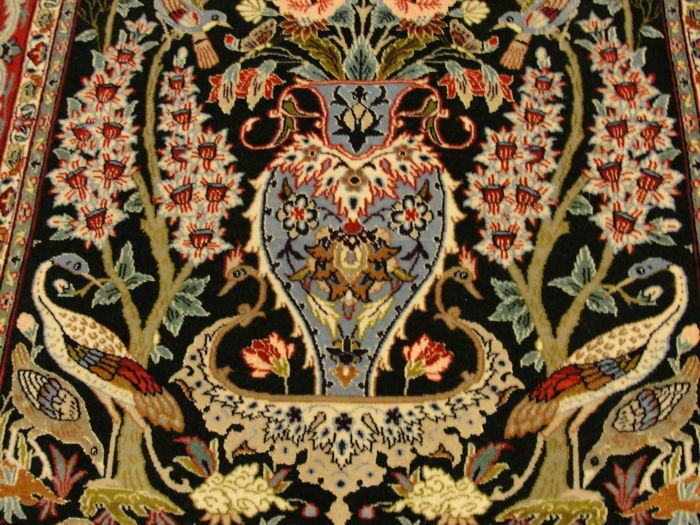 Calligraphy, bookbinding and mosaic artistry were some of the most important art forms that inspired the 16th century Isfahan weavers.